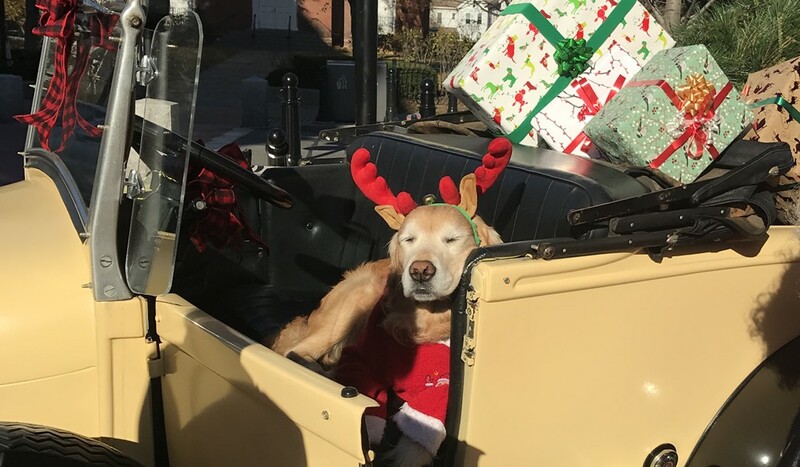 If you've been by the top block of the Church Street Marketplace in Burlington recently, it's likely that you've encountered the sweet, fuzzy phenomenon that is Molson the Dog. And he probably made your day, because OHMIGOD, LOOK HOW FREAKING ADORABLE HE IS! WHOSAGOODBOY?! Like the statue of Big Joe Burrell — only much cuter and, despite his sleepy demeanor, not a statue — Molson has become a top-block fixture. So much so that a reader who works nearby recently alerted Seven Days to his all-consuming cuteness and suggested we write about him. Being the dedicated, hard-nosed journalists that we are, how could we refuse? 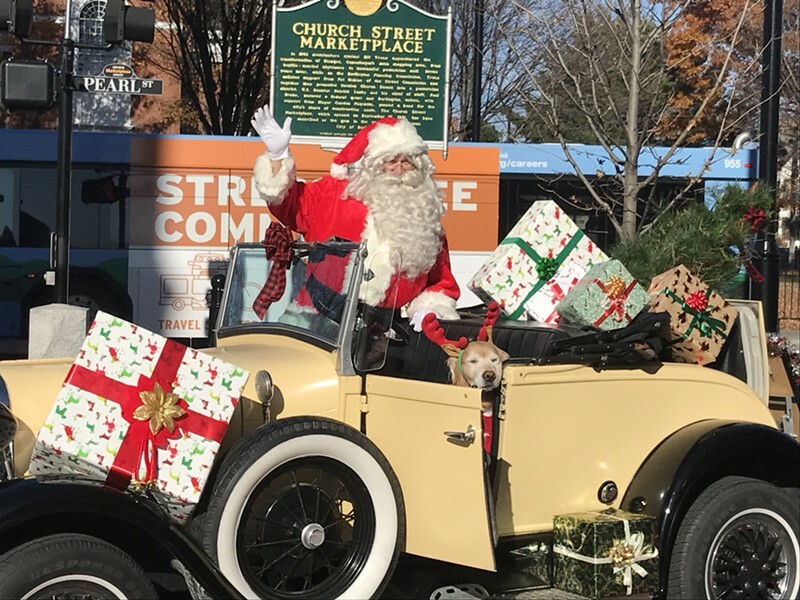 In the three months since his people, Annette Didrickson and Ric Crossman, opened the Vintage Photography Emporium on the corner of Church and Pearl streets, you can find Molson on the street in front of the shop almost every day. He's usually unattended and snoozing, schmoozing or generally soaking up the adoration of nearly anyone who happens by, because I JUST WANNA SMOOSH YOUR FACE, MOLSON! "He's like a celebrity," says Didrickson at her photo shop. "People take pictures of him. They take pictures with him." As the 13-year-old golden retriever naps on the floor by her side, his big, blocky head resting on his giant muffin-paws, it's easy to see why. Because GOOD LORD HOW COULD YOU NOT LOVE THIS SWEET OLD GUY!? Married couple Didrickson and Crossman have had Molson since he was a puppy, which roughly coincides with their move to Vermont from Wisconsin 13 years ago. In addition to the vintage photo studio, they run a handyman business. Molson spent most of his early life accompanying them on jobs, which helps explain why he's so calm and friendly when left to his own doggy devices in public. "He's never really alone out there," says Didrickson, referring to the crowd Molson unfailingly attracts. She adds that she's never been dressed down or cited by police for not adhering to Burlington's leash laws. "I think they pet him, too," she says. "I don't really think he thinks he's a dog, to tell you the truth." As the weather turns colder, you might not see Molson outside quite as often. But there will be no shortage of opportunities to bask in his welcoming sweetness this holiday season. "We're dressing him up as a reindeer for Santa photos," says Didrickson, as Christmas music plays in the background.